When it comes to tacos, carnitas are at the top of my list of faves. Carnitas, which means "little meats" in Spanish, is a popular Mexican dish of roasted or braised pork that's then shredded. The key to creating authentic carnitas is to slow cook the pork roast, then crisp it up so you get a combination of tender, succulent meat as well as some crisp and crunchy bits. 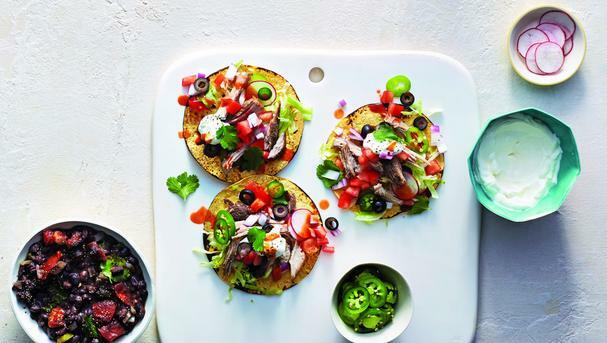 Perfect for Mexican-style street tacos! 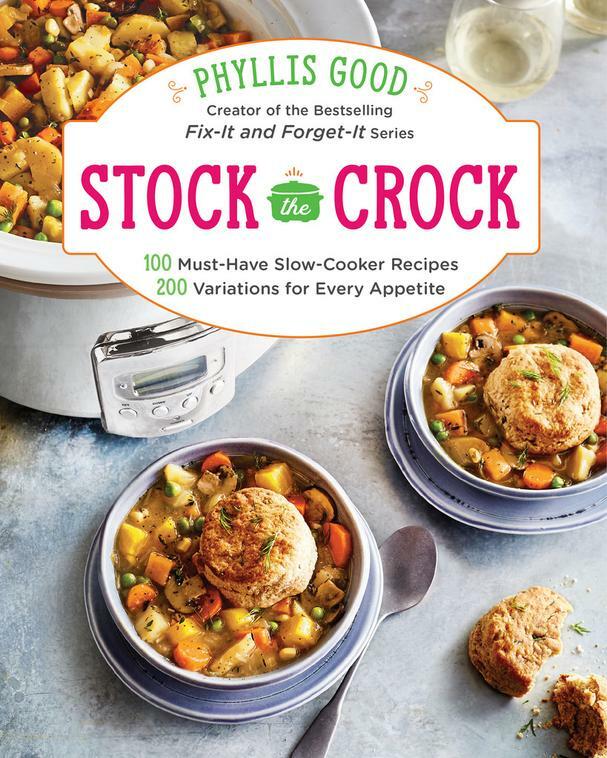 The following recipe is from Stock the Crock, a new cookbook from Phillis Good, creator of the best-selling Fix-It and Forget-It series. In this must-have slow cooker cookbook you'll find 100 easy recipes for soups, stews and chowders, vegetarians and pasta mains, meat and seafood dishes, as well as side dishes and desserts. It also includes 200 handy variations for dietary needs, such as gluten-free, vegetarian or paleo, as well as size accommodations for one or two people. Get another delicious recipe from the book, 4-Cheese Artichoke Dip (and Pasta Sauce), here. Screamin’ Good Carnitas by JB M.
"This is a sure hit for any event. I have friends who served these carnitas at their big family Christmas get-together. People kept telling them all afternoon that they’d never enjoyed a Christmas dinner more!" 9. Serve the pork as filling for tamales, enchiladas, and/or burritos, with desired toppings. Or, serve it on buns or over white rice. To thicken the sauce: In a small bowl, mix 3 tablespoons cornstarch with 3 tablespoons of cold water. Stir until a smooth paste forms. Remove 1⁄4 cup of heated sauce from the cooker and mix it into the cornstarch-water paste. When smooth, return the sauce to the crock, stirring until the sauce thickens. —Regina M.
For additional flavor: Lay 1 onion, peeled and halved, next to the roast in Step 2. Reduce the amount of chicken broth to 1 cup in Step 3. Then squeeze 2 tablespoons fresh lime juice over the roast. Squeeze fresh juice from 1 medium-large orange over the roast too. Lay the spent orange halves beside the roast. Lay in the bay leaves. Continue with Step 4 and the following steps. Remove the orange halves before shredding the meat. Taste before adding more orange juice in Step 7. —Regina M.